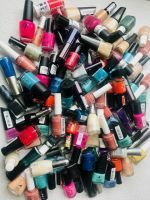 Crackle Polish is the latest craze to hit the UK, a nail polish top coat that shatters immediately after application producing CRACKING effects!! Crackle nail polish has proved a big hit with many celebrities getting in on the style. Katy Perry has been sporting crackled nails for some time and we expect this to be a craze that only continues to grow. One simple brush stroke is all it takes to create incredible designs. Available in Earthquake Black, Silver & White!